Best Training Treats for Dogs: Which Treat Should You Use? 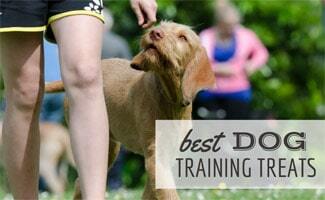 Home > Training > Best Training Treats For Dogs: Which Treat Should You Use? Picking a treat to give your dog while training her can be tricky. You don’t want to give her a treat filled with calories. Especially since you’ll be giving her many at a time. You also want one that is all natural, meaning there are no artificial flavors or colors. That’s why it’s so important to read the labels of every food related item you purchase, whether it’s for you or your pet. Our rule is, if you can’t pronounce the ingredient you shouldn’t buy it! Below are some of the treats we’ve reviewed for this article. If we had to pick one winner, we’d choose these Zuke’s treats as the best dog treats for training, offering a great natural product for a very competitive price. As the title suggests, the Zuke’s Mini Naturals Healthy Moist Training Treats are made for training and are among some of the best puppy training treats. This dog training treat bag comes in seven different flavors: chicken, duck, peanut butter, pork, salmon, wild rabbit and exotic. Each treat has 3.5 calories and there is no wheat, corn or soy in these products. So if your dog has an allergy or is intolerant to one of those ingredients these will be safe for her. The treats are pea-sized and remain soft as long as you seal the package properly. These treats are made in the U.S.A. or New Zealand. Teaching your dog a new trick or house training her can be stressful. You may find that using treats is easier than dog training without treats. There are lots of things you can use as treats for your dog. In fact, some people use marshmallows, hot dogs or croutons, although we do not recommend these food items. We suggest sticking with snacks with that contain more natural ingredients and fewer preservatives. Below are some reviews of the best dog training treats. Canidae Grain Free Pure Chewy Treats come in three flavors: rabbit & kale, sweet potato & duck and turkey & apple. The treats have no corn, wheat, soy or fillers so they are perfect for more sensitive dogs. These treats are made in the United States and there are more than 100 treats per bag. These treats are actually made to put pills inside to make it easy to give dogs their medicine. However, they’re also great puppy treats for training. Greenies Pill Pockets treats are designed by vets and are made right here in the U.S.A. in Kansas City, Missouri. The treats are available in three different flavors: chicken, real peanut butter and hickory smoke. They also come in two sizes: large (to fit most capsules) and small (to fit most tablets). These all natural treats have fewer calories, less fat and lower sodium than most human foods. These treats are also soft so you can tear them apart easily to make them last a little longer. These Hill’s Science Training Treats are made in the U.S.A. There are about 30-40 treats in the bag and for best quality, you’ll want to use them up within 3 weeks of opening. This will help keep the treats soft, as they’re meant to be. There is no corn or artificial colors or flavors in these treats and the number 1 ingredient in them is chicken. These Milk-Bone Flavor Snacks are common training treats for puppies but do contain more preservatives than most of the treats we reviewed. Each box includes five different flavors: bacon, beef, chicken, sausage and turkey. The treats include 12 minerals and vitamins to help keep your dog healthy. Unlike the Greenies above, these treats are crunchy. They claim the texture helps clean your dog’s teeth and freshen breath. Since these are harder they’re difficult to break into smaller pieces, but if you can manage it, you’ll get 2-3 treats out of each bone. These treats aren’t our first pick for training treats due to the preservatives but the choice is ultimately up to you. These training treats for puppies are made in the U.S.A.
Old Mother Hubbard’s mini biscuit assortment treats are crunchy and bone shaped. Included in the box are original, chicken, cheddar and char-tar flavored bones. These treats are all natural with no artificial preservatives. Old Mother Hubbard dog treats are made in North America. Now that you have an idea of what treat you want to get for your pup, you need to know how to implement training with the treats. Watch this short video below on How to Train Your Dog Using Treats. Why Are Treats Effective For Training Dogs? As you learned in the video, positive reinforcement is more effective than negative. Reward your dogs for positive behaviors, do not punish her for negative ones. 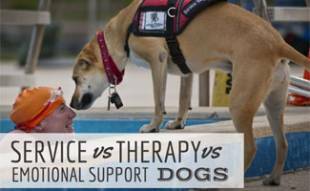 The Association of Professional Dog Trainers (APDT) uses treats to train dogs in their care. The APDT suggests using small, chewy treats to help with timing for your training purposes. You can also be generous and give more treats because the smaller the treat typically means the fewer the calories. 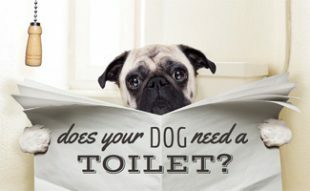 (You don’t want to make your dog overweight by giving too many large treats!) Besides, your dog doesn’t care how big the treat is. She just loves that she’s getting so many and getting attention from you! What’s your dog’s favorite training treat? Pet “parents?” Ugh… Insane that people need to be politically correct with the dog terms now too. As bad as not referring to sitting cross-legged as “Indian Style.” Who cares!? Also, these treats are extremely expensive… Nearly $10 for a puny 6oz??? If you haven’t been using treats yet for training, you’ll soon find out how ridiculously fast you go through 6 oz. Here’s a thought – it’s a DOG. You are not going to suddenly extend the life of a dog by 10-15 additional years by feeding it “holistic/organic/fresh/natural/wholesome/etc.” over-priced & over-marketed crap. Go buy some super super cheap hot dogs. Cut length-wise, rotate 1/4 turn and cut length-wise again. Now cut slices so you wind up with tiny square [quarters] cuts. They’re tiny but your dog will go nuts for them and you won’t break the bank using them to train them. I bought a 1 lb. package of “Sugardale” hot dogs for $1.80 at my local grocery store. I’m sure you can find cheaper shopping at a super-saver type store such as FoodMaxx, Aldi’s, Dollar Store, etc. 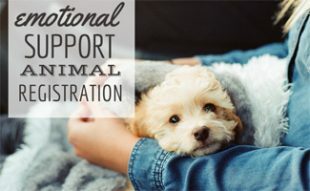 Yes, I care about my dog and his health. However I don’t have any misconceptions about how long his life will be. He’s a GSD and will live somewhere between 12-15 years. Breaking the bank with all this supposed “SUPER QUALITY/ORGANIC” crap MIGHT get me another year… there’s no telling. Then again, some environmental condition completely out of my control could take my GSD from me 2-4 years earlier no matter how much money I spend on this over-hyped trendy food/treats. Are you upset that I called my husband and I “pet parents” in my bio? That’s a term of affection in my opinion and not a way for me to try to be “politically correct.” We consider Sally to be our daughter and if calling us her parents makes us “insane,” then I’m the craziest dog parent out there. As for your point on the cost of the treats, that’s up to each pet parent on how much they’d like to spend on their dog’s diet. No, not upset – I suppose I read into that a bit. We used to live the the SF bay area and there’s complete PC madness going there. You’re literally given dirty looks by people if you should dare refer to yourself as a pet “owner.” It’s not as if I’ve ever viewed a dog as my “possession” but some crazies there have decided to interpret it as such. My fault for reading into your post a bit too much. I probably should have eaten better before posting my comment, as it came off as pretty stern… I’d just gotten home from PetSmart and dropped another $45 on some pet treats (8 bags because they don’t last long at all while training) and I was pretty grumpy & miffed about just how much these products cost. Lol, totally understand. I’d be miffed too if I had spent $45 on training treats. I’ve found that buying the Zuke’s treats (the #1 pick in our article) from Amazon is cheaper than PetSmart in my area. For the most part, I can get items from Amazon cheaper than PetSmart. However, it may vary in your area. For example, we needed a “no marking” spray for our dog asap and it cost twice as much than it did on Amazon at PetSmart. However, since we wanted it asap and didn’t want to wait for shipping we bought it at PetSmart. It stung to pay double the price, so now I avoid buying at PetSmart in my area. Instead, I try to plan ahead and buy dog supplies from Amazon and plan for the shipping time so I don’t go without something I need. When I’m at the store buying treats and toys for my dog, I’m constantly on my phone comparing prices to Amazon. Depending which is cheaper, I buy from there. Oh, and another tip a fellow dog owner gave me as I was standing in the dog treat aisle overwhelmed with my options: Use your dog’s food as the treat. Give a piece of kibble instead of a training treat. This may be more cost effective for you! Good luck! Are Zukes training treats totally grain free? My gang loves them! Foods made from wheat, rice, oats, cornmeal, barley or another cereal grain is a grain product. The Zuke’s Mini Naturals in this article have ground rice, ground barley and malted barley, so they are not grain-free. Thanks Kimberly! I never really thought about how many calories are in treats but I guess even small portions can add up if you give your pup a bunch of these throughout the day. I’ve used Milkbones in the past because they’re usually at my grocery store and saves me a separate trip to the pet store but agreed, they are hard to break up into pieces, plus I had no idea they were packed full of preservatives, so I’ll probably switch to one of the more natural brands above like Zuke’s minis. And ordering online via Amazon means I can still save myself a trip to the pet store, thank you!